Daniel Radcliffe has a history of addiction issues – his problems with alcohol abuse were discussed in a post on here last month. Now the news is that he is planning to enter a rehab programme in the hope that this will allow him to break free of a cigarette addiction. Daniel believes that he has a bit of an addictive personality, which is why he needs more intensive treatment in order to quit his 20-a-day habit. 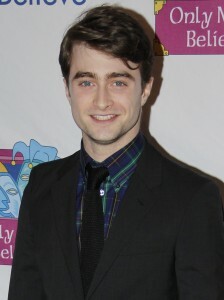 The news that Daniel Radcliffe is planning to go to rehab was reported recently in the Daily Mail newspaper. In 2010, he managed to give up alcohol without the need of any intervention, but he is finding cigarettes a much harder addiction to overcome. He has previously tried techniques such as hypnotherapy to help him give up the habit but thus far, all of his attempts to quit have turned out to be unsuccessful. The rehab programme Daniel wants to go to appears to provide specific help for those dealing with cigarette addiction. It involves help with withdrawal symptoms, as well as counselling and group therapy. Participants also get to learn techniques for dealing with stress such as yoga and meditation. There is also more intensive physical exercise in the programme such as swimming, walking, and running. Does Daniel Radcliffe Have An Addictive Personality? It is often the case that those with one addiction problem also tend to develop problems with other maladaptive behaviours. This means that the person has a drug of choice but, if that drug is removed, there is a risk that he or she will just move onto the next drug. Some experts look at the addictive behaviour as a symptom of something deeper and that new addictions will keep on arising until this underlying issue is dealt with. a tendency to experience high levels of anxiety. The ‘addictive personality’ is only meant to be a guide that describes the factors that make individuals more prone to addiction. Most people who develop addiction will not have all of these symptoms, but it can still be a useful guide for what to expect. It did not seem to Daniel Radcliffe at the time that he needed to go to rehab in order to deal with his alcohol problems. This may have been because he did not realise that ending one physical addiction is just one part of the process. The goal of rehab is not just to get people physically sober, but also to give them the tools needed to begin rebuilding their life. The idea is that once a person is better able to cope with life and they have eradicated the roots of the addiction with the help of therapy, there will be far less risk of the person turning to new addictive behaviours. Some people talk about the ‘addictive personality’ as if is inevitable and that the person has no choice but to fall into addiction. The reality is that all of these traits can be overcome, which is what the work that begins in rehab is all about. If these character flaws are not dealt with then it means that the person can just end up moving from one addiction to another. If the story in the Daily Mail is correct then it sounds that Daniel Radcliffe is taking empowering steps to regain control of his life. In the past he has talked about issues such as ‘imposter syndrome’, so hopefully this time of intense work on his personal problems will allow him to develop healthier habits and a letting go of his need to abuse substances like nicotine.